Untranslatable by Dog As Master / If, Bwana was originally released on cassette in 1986, C46, on the Cause And Effect label. Later reissued by Harsh Reality Music. Untranslatable could be considered dark ambient. 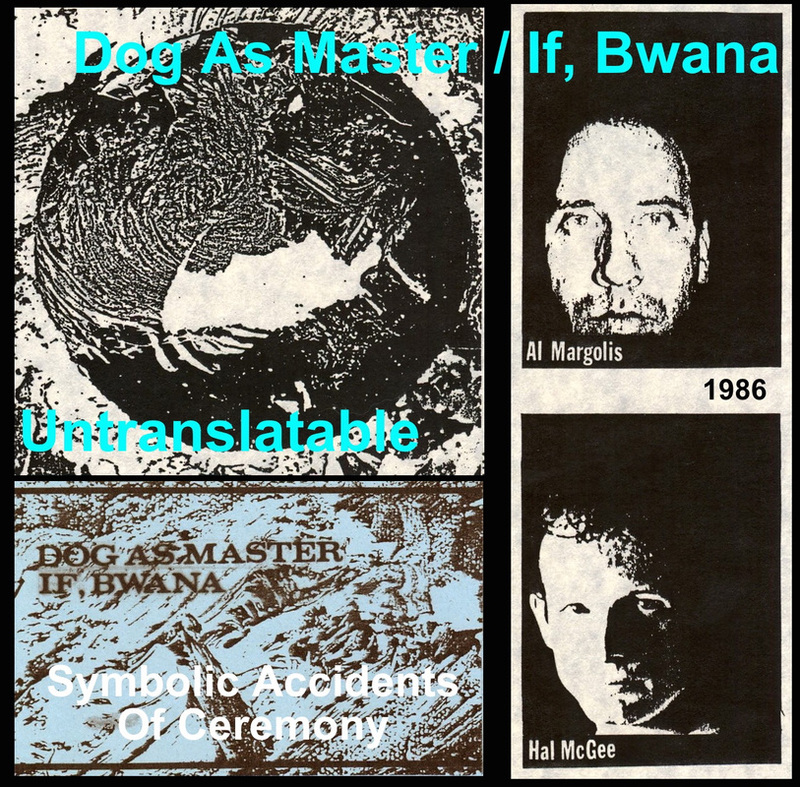 Symbolic Accidents Of Ceremony by Dog As Master / If, Bwana, originally appeared as one half of a split tape, titled At Last, with the Belgian group Ain Tow. Originally released on cassette in 1986, 23 minutes, on the Broken Flag label, United Kingdom (catalog number BF 55). Re-issued by Cause And Effect (1987).